On the Twelfth Day of Etsy, my True Love gave to me… Twelve Drummers Drumming, eleven pipers piping, ten lords leaping, nine ladies dancing, eight maids milking, seven swans swimming, six geese laying, five golden rings. Four calling birds, three french hens, two turtle doves and a partridge in a pear tree! On this final day of the Twelve Days of Christmas, I wish to take a moment to honor Layne Redmond – drummer extraordinaire and the author of the wonderful book “When the Drummers Were Women.” Layne passed away from breast cancer less than three months ago on October 28th of 2013. We in the Pagan Community mourn her loss, while at the same time we remain enriched by her life. “What is remembered, lives.” We shall remember you, Layne. 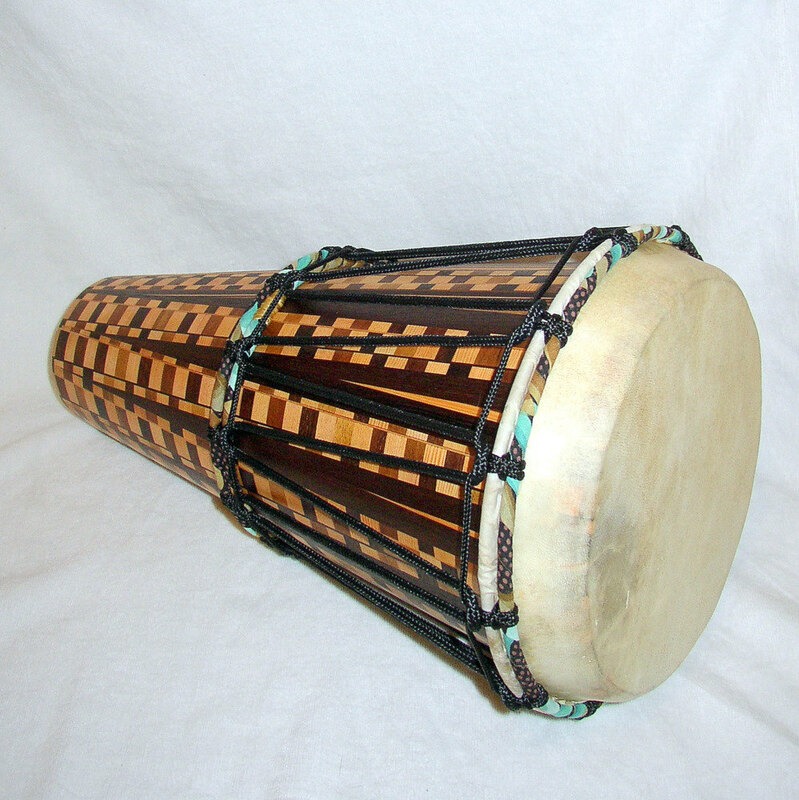 In the introduction to her book, Layne explains how handheld frame drums are among the oldest known musical instruments, and the rituals of the earliest known religions evolved around the beat of such drums. 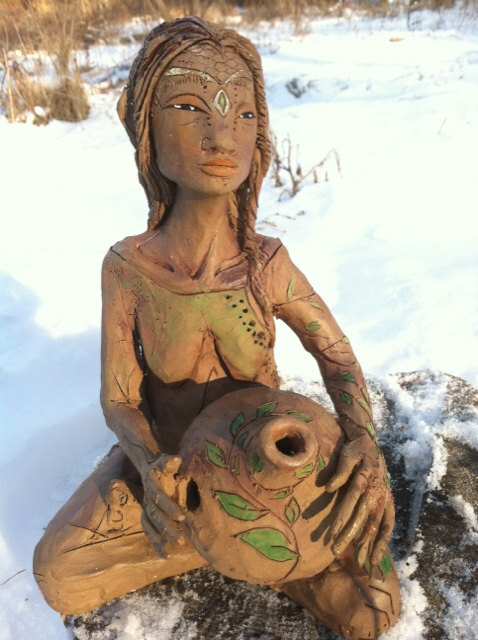 These religions were founded on the worship of female deities – the Divine Feminine, Mother Goddess herself. In these days of old, women’s bodies were considered sacred – due to their ability to procreate life. 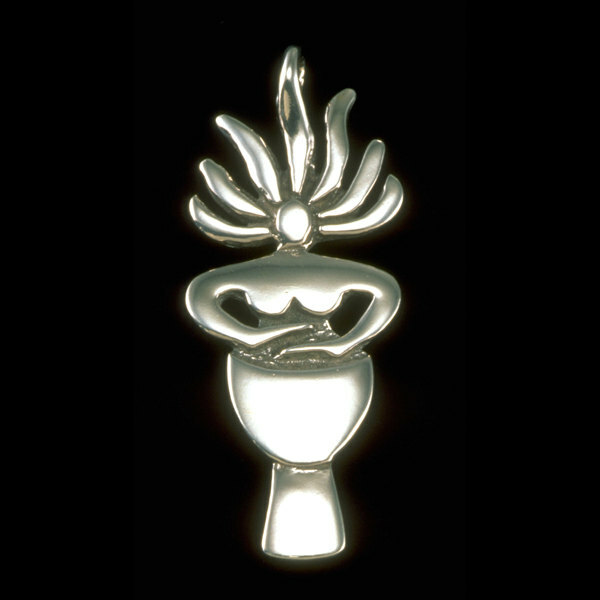 As a result, it was women who were the first priests, and sacred drumming one of their primary skills. 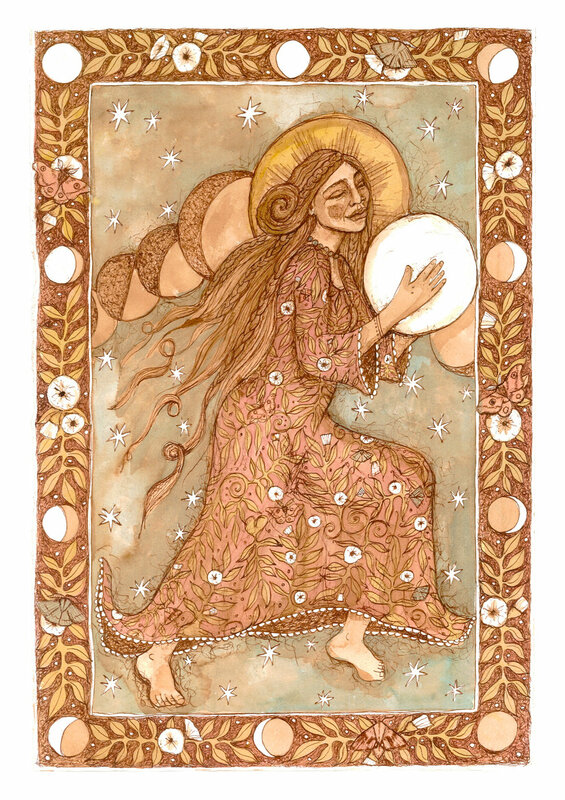 I think this beautiful print by Lucy Pierce – “She Drums the Moon” – is perfect for remembering… the drummers of this Twelfth Day and a drummer who remains with us in spirit. 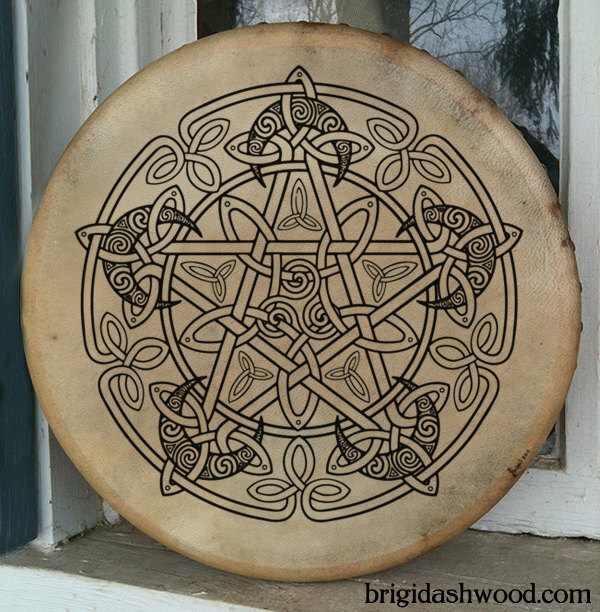 Or maybe a beautiful Celtic Moon Pentacle Bodhran like this one handpainted by Brigid Ashwood of Bright Arrow shop. As we come to the end of the holiday season, I would like to take this moment to thank all of my Crossroads readers who have visited me in 2013, and to wish you all the very best in the year 2014.